Flip a coin. 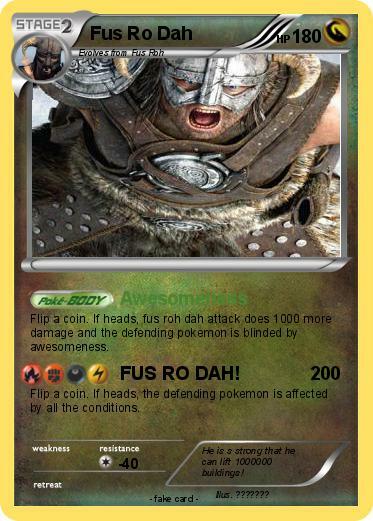 If heads, fus roh dah attack does 1000 more damage and the defending pokemon is blinded by awesomeness. Attack 2 : FUS RO DAH! Flip a coin. If heads, the defending pokemon is affected by all the conditions. Comments : He is s strong that he can lift 1000000 buildings!